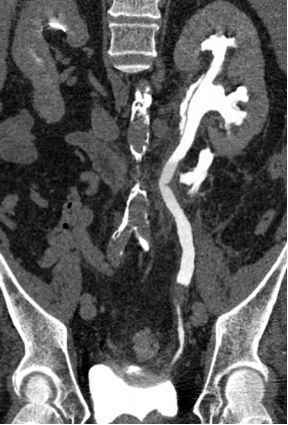 One of the most common presentations of AUR is postoperative UR. This is surprisingly common and can occur associated with up to 23% of anesthetic procedures, with an especially high prevalence in those undergoing epidural or spinal anesthetic (Dolin and Cashman 2005; Kim et al. 2006). It is more likely to occur in patients undergoing major abdominal, pelvic, or lower limb surgery, and is also more likely in those patients receiving opiate analgesia. The precise mechanism of postoperative UR is unclear, although the most widely believed theory is that detrusor contractility is suppressed, combined with activation of stress-mediated inhibitory sympathetic pathways (Kim et al. 2006). This is often as a side effect of anesthetic agents, but it is thought to be potentiated by opiates. Lesser effects have been seen with the opioids alfentanil and sufenta-nil, especially relating to epidural use, than with conventional opiates (Kim et al. 2006). Epidural-related detrusor dysfunction is clearly recognized as a cause for litigation in pregnant patients undergoing labor with an epidural in situ, where there is a failure to drain the bladder that then becomes overdistended, with resultant detrusor dysfunction that can lead both acute and chronic retention. In some patients, especially those undergoing pelvic surgery, there is a risk of direct neurological damage as a cause of abnormal detrusor function. Other causes of postoperative UR include immobility, constipation, pain, local edema and preexisting BOO.